As I have color treated hair, I needed products that will not easily washout my hair color. I don’t normally stick to just one shampoo as I am constantly on the hunt for that one to make the entire hunt stop. However, I have been using the Herbal Essence Color Me Happy shampoo for almost a year now and each time my bottle runs out, I always tend to pick up the same one. Could my hunt have already stopped? For reference, I have dry scalp, fine and oily hair. Gross, I know. That’s why I always have to wash my hair everyday. I know I mustn’t but I just can’t handle greasy hair. Anyway, I cannot just use any shampoo as I mentioned I have dry scalp. Most shampoos would result to my scalp flaking. However HerbalEssence doesn’t do this and it’s surprisingly gently that I now have lesser fall out and my hair color lasts longer. This shampoo is packed with Moroccan rose and passion fruit nectar to keep color treated hair healthy looking and radiant. Another plus is that it smells fruity. After every shower, I feel refreshed. In Holland this shampoo is marketed differently and has a slightly different name but it’s actually just the same. What shampoo are you currently loving? Is that the best one you’ve got so far? I am currently using a Dove one. Also struggles with a dry scalp maybe I should try this one. Hi Janneke, I haven't tried any Dove shampoo. I don't think we have them here. If I ever see it I am going to try it. Thanks for the tip. Thanks for the tip Rena, when I go to DM next time, I will check this out. Oh I haven't seen the commercial - but I never watch tv. Yes, the shampoo smells really fresh and fruity. 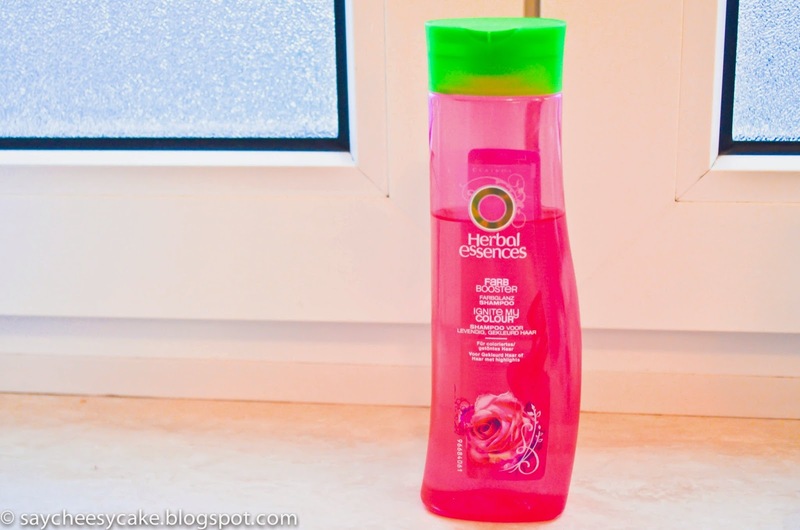 I have seen Herbal Essence range for a veryyy long time but have only tried it once. I love the smell but it was very drying on my scalp and hair. That was back in Malaysia though, I probably should try it again as Canada's water is different. I wanted to colour my hair but am soooo afraid of the upkeep and getting it ruined. I am such a coward. LOL! Hi Shireen, I guess it depends on which shampoo suits our hair. I only colored my hair to hide imperfections (*cough*). If you don't need to color your hair, then don't. You wouldn't want to have to bother with maintaing the color! Hi Gingi, I haven't heard of the brand. I haven't used this particular shampoo yet as I don't have colour-treated hair and it would logically not make too much sense for me but I've actually tried their hydralicious silky boost shampoo before which I quite liked! Hi Lena, maybe I should try that one then? I use tresemee it's so good, I was suffering with a really bad flaky scalp and as soon as I used this is went away. I have tried Treseme as well when I lived in London. Unfortunately we don't have them here in Holland.